The city of Hinton finds itself sued in Caddo County District Court and Oklahoma City federal court by two wind farm companies that claim the city unfairly is targeting them with a restrictive ordinance. 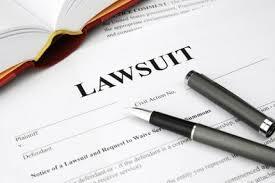 The suits were filed by Minco Wind IV LLC and Minco Wind V LLC. Both are affiliates of NextEra Energy Resources LLC. The lawsuits contend that a Jan. 17 ordinance adopted by the city of Hinton called their equipment a public nuisance and was illegally enacted. The companies are asking judges to declare the ordinance null and void.